If you’ve got an iPhone, chances are you fall into the majority of people paying over $100 a month on cell phone bills. New research from Consumer Intelligence Research Partners shows that 59 percent of iPhone users are paying triple digit monthly cell phone bills, with 10% of all iPhone users somehow managing to pay over $200. 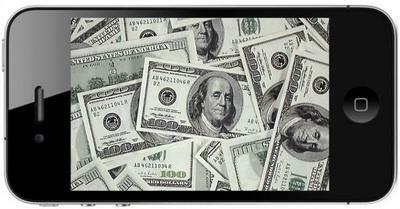 36% of iPhone users manage to squeak between $50-$100, and a mere 6 percent pay between $25-$50. Compared to Android users, where 53 percent of users pay above $100, only 7 percent of the users break $200 a month. A much larger group of people fall in the $25-$50 dollar range at 13 percent. A few crafty negotiators, 1 percent of Android users, even managed to squeak out a plan which costs them less than $25 a month. According to Consumer Intelligence Research Partners’ Josh Levitz, cheaper Android models help lower the average cost of both subsidies and monthly wireless plans. “With the exception of perhaps the hottest Android phones, we think the subsidies on Android phones are lower, so the carriers make more money even with slightly lower per-subscriber revenue,” Levitz explained. Our guess is the lucky Android users with the lowest wireless bills are on prepaid carriers or are part of larger family plans.